Group trips to China to experience Business and Law in this rapidly developing, modernising country are a real eye opening experience. While in Chengdu, a bustling city of 14 million people you will be able to learn about commercial and corporate law in a variety of legal departments. You will have the opportunity to research various case studies and in an interactive setting, you will be able to compare the differences between foreign and Chinese legal systems. The second part of your group trip involves visits to a number of companies. 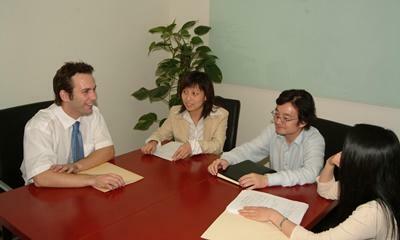 You will receive presentations and assignments that will help provide you an understanding of international business. There are lots of opportunities for discussion and questions so you get a real in-depth feel for business in a country fast adapting to Western influence and ideals. While you are in China, you will stay in a volunteer apartment or hostel. Projects Abroad will organize basic Mandarin lessons for your group, and also a number of organized trips and excursions to various cultural events and places in and around Chengdu including a famous panda sanctuary and the Leshan Giant Buddha! The contrast of the modernizing vibrant society with the more traditional rural culture is both fascinating and captivating and well worth experiencing!